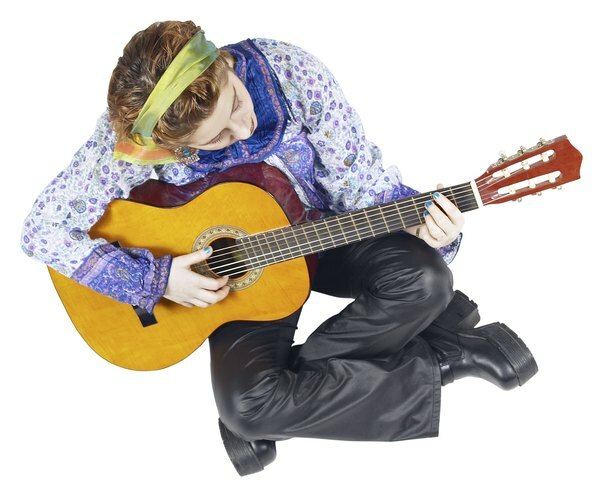 A working child musician can contribute to an IRA. The question when considering opening an individual retirement account for a child is not whether you earn too much but whether your child earns anything at all. An unmarried IRA owner must have earned income to make contributions. The parent's income has no bearing on how much can be contributed to a child's -- or custodial -- IRA. The Internal Revenue Service requires that the person opening an IRA have his own earned income. The only exception to this rule is that a non-working spouse can piggyback on the other spouse's income to open an IRA. However, there is no provision that allows a parent to use his income to open an IRA for his child. The IRS definition of earned income includes wages, commissions, salaries, tips and self-employment income. It does not include investment or inheritance income. Only a parent or guardian can open an IRA for a minor. Moreover, not every bank or brokerage that offers IRAs will open a custodial account. When completing opening paperwork, the adult must provide his own name, address and contact information, as well as the name and Social Security number of the child. Beneficiaries must also be designated. The parent makes investment choices and signs the account opening forms on behalf of the minor. A minor IRA owner, as of 2013, can contribute up to $5,500 in a single year. However, you cannot put more into the account than the child earns. So, if your son makes $1,800 playing the violin in a pick-up orchestra, his contribution limit for that year is $1,800. Interestingly, if the child spends his earnings, the IRS allows you to put money in the IRA, as long as you contribute no more than the child has earned. Although you as parent or guardian are the account custodian, you are not empowered to withdraw funds from the child's IRA. When he turns 18, he is free to take any or all of the money from the account. However, traditional IRA withdrawals before age 59 1/2 trigger a 10 percent penalty in addition to income tax. A reckless young adult can plunder the account quickly, enriching Uncle Sam in the process. There is neither tax nor penalty to deter a Roth owner from withdrawing contributions. Roth earnings distributions before age 59 1/2 may incur both tax and penalty, depending on the age of the account.